How Far is SG Enclave? Imagine walking up to fresh bright morning to hear chirping of birds in a natural surroundings. 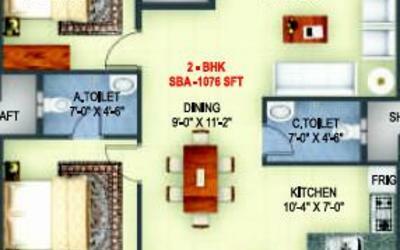 The place where you dwell is the epitome of space, comfort beautiful design and fine architecture. Step outside your home to welcome the wide array of luxury that capture your imagination at every moment of life. All this and many more in your kingdom. 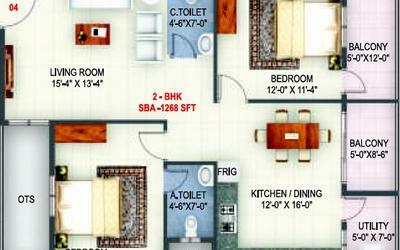 Come and enjoy the beauty of the location and peaceful atmosphere around "SG Enclave". RCC framed Structure designed for zone II regulations. 6" &4" Solid Block for external walls & internal walls. Smooth surface sponge finishing for interior walls to receive paint and sponge finish for Exterior walls to receive cement Paint. Main Door with Teak wood frame & Vanier polished shutter and all other doors of Sal wood frame with flush shutters painted with Enamel Paint. 3 Track Powder coated Aluminium windows with MS safety grill & mosquito mesh. Vitrified flooring for Living, Dinning, Bedrooms & Kitchen. Ceramic tiled flooring for Balconies. Granite kitchen platform with steel sink and 2 ft height glazed tiles dado above the Platform. Concealed copper wiring with ISI branded modular switches & sockets. Anti-skid ceramic tiles flooring and glazed tile dado up to door height with Jaguar / ESS make fittings. White /Sanitaryware in all toilets of Hindware/Parryware/Equivalent make. 24 hrs water supply from borewell with Overhead tank and Sump. Interior walls painted with Asian based tractor emulsion and exterior walls with Ace. 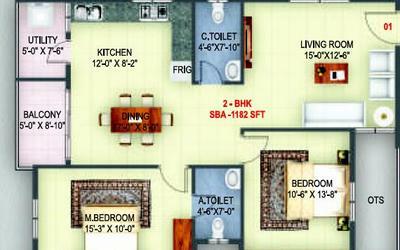 One point each in Living room and Master Bed room. 2 Automatic 6 passenger lifts. Valueprop is a realty construction company engaged in residential property development and promotion. We are a team of professionals, primarily executing projects in the Villa and Residential Apartment segments. Valueprop was founded by Shiv Prakash in the year 2008. The company started operations with property marketing & promotions. 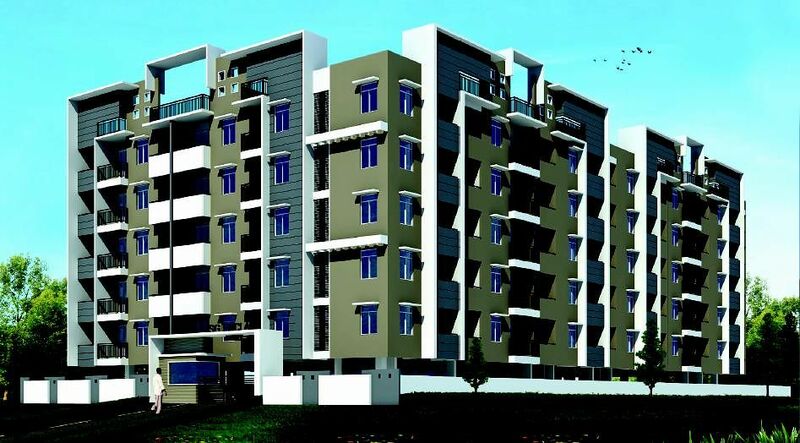 With adaption of planned operations, progressive aptitude and systematic execution of the work, Valueprop was successful in growing to an organized realty construction company. We have framed a very proficient management team, who work towards the perfection of creating the first impression. Nevertheless we are associated with talented architects for architectural excellence, legal advisors for uninterrupted legal formalities and financial advisors for the right investment decisions. We also provide assistance for home loan and documentation procedures. Converting worthy lands into tranquil abode and inspiring many lives to own a home of their own, turns to be the prime intentions of Valueprop.